The negative pressure may induce the retraction of the herniated or bulging disc into the inside of the disc, and of the nerve root, thecal sac, or both. It happens only microscopically each time, but cumulatively, over four to six weeks, the results are quite dramatic. 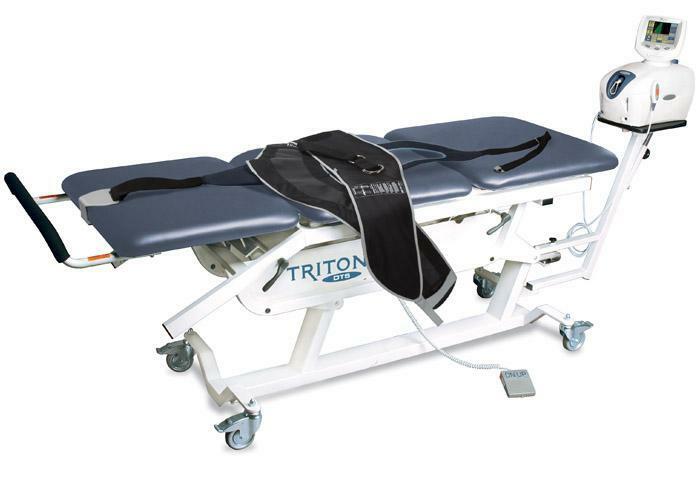 Non-Surgical Spinal Decompression is very effective at treating bulging discs, herniated discs, pinched nerves, sciatica, radiating arm pain, degenerative disc disease, leg pain, and facet syndromes. Proper patient screening is imperative and only the best candidates are accepted for care. You may also want to download our the Low Back Guide to read more to help you decide if you are a candidate for this safe and effective treatment option. Contact our office at (281) 993-4109 to schedule an initial consultation with the Doctor to determine your individual situation. Medical Evaluation and Diagnostic testing procedures should be performed prior to beginning any treatment in order to determine the most effective process. After carefully studying your case history and exam findings, the Doctor will sit down and explain his recommended plan of action for you. After answering any questions you may have about the recommended plan, you may begin your care. Call now (281) 993-4109 for your FREE Consultation!